When Elon Musk released his‘ Master Plan Part 2’ for Tesla last year, he surprised a lot of people in the industry when he announced that the automaker will soon venture in the semi-truck business. Musk confirmed today that the project, which has been called ‘Tesla Semi’, is making good progress, but we shouldn’t expect much until Tesla can get the Model 3 out the door. 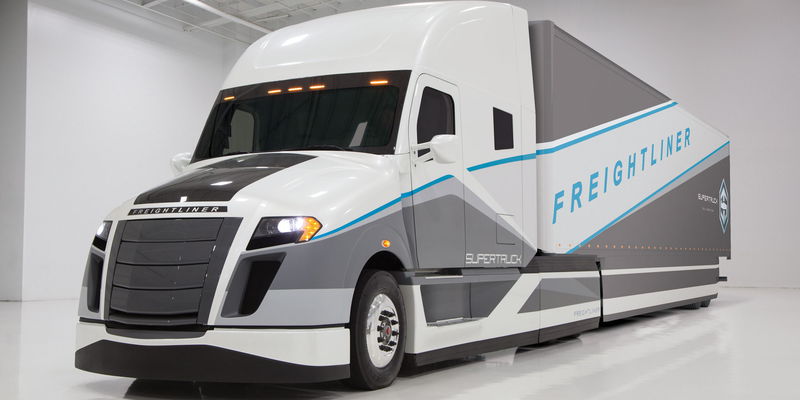 As we previously reported, Musk put Tesla’s former Model S Program Director and Daimler’s former General Manager of the Cascadia semi truck program (pictured above), Jerome Guillen, in charge of ‘Tesla Semi’. Since Musk was on a Tweetstorm earlier today, I decided to ask him if Guillen was making progress with the semi truck program. Musk announced several new vehicle programs when he released his‘ Master Plan Part 2’: a minibus, a pickup truck, and a semi truck. Those were added to the already known Model 3 and Model Y programs. Since Tesla already has over 400,000 reservations for the Model 3, Musk is emphasizing that the automaker is focusing its resources on the vehicle before going into those new programs. When questioned about Tesla losing its focus after the announcement that they are already working on the new vehicles last year, Musk said that “early development work” is not taking a lot of resources away from Model 3. Tooling and getting to production is where things get expensive. Based on Musk’s comment, we would expect Tesla Semi to still be in “early development work” as the company is still working on bringing the Model 3 to production in the coming months. As mentioned, the development worked his lead by longtime Tesla executive Jerome Guillen. Before joining Tesla in 2010, Guillen was a longtime Daimler executive and he led all new Class 8 truck development at Daimler Trucks North America in Portland Oregon, where the company was working on the ‘SuperTruck’, a US Department of Energy established to increase the fuel economy of medium- and heavy-duty vehicles by developing new technologies. Tesla hired a few engineers that were working on the program for Daimler. Guillen also led the development of the Cascadia truck for Daimler’s Freightliner and it became a best-selling Class 8 semi truck. His experience in both leading the development of a semi truck, the Cascadia, and an all-electric vehicle, the Model S, certainly gives him a rare advantage for the development of an electric semi truck. There are a lot of challenges in developing battery-powered heavy trucks, like weight, charging, and energy capacity. It will be interesting to see what solutions Tesla can come up with.